Les Films de l’Oeil Sauvage, Kiripifilms, Alva films, Bärbel Mauch film, Flimmer Film, Arte, RTS, Al Jazeera English – Andana Films – République Démocratique du Congo, France, Suisse, Allemagne, Norvège, 2018, 1h15. 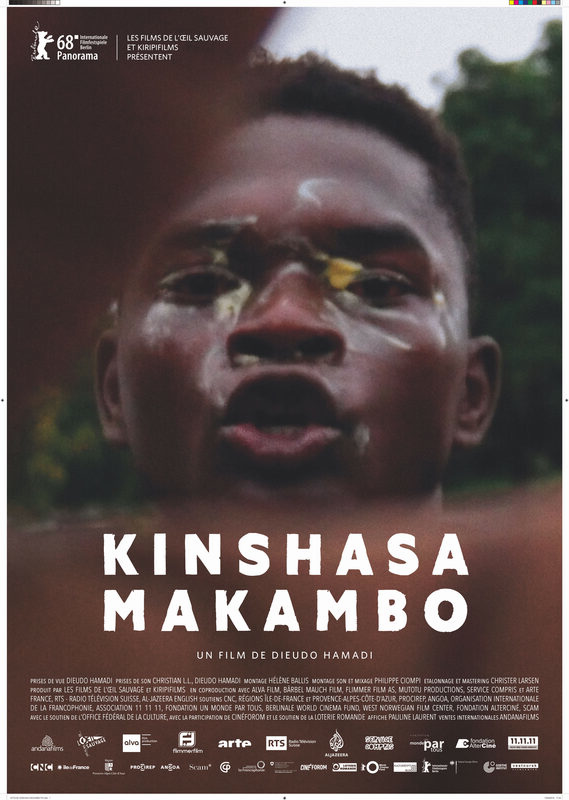 « Kinshasa Makambo » tells the fight of three young activists for political alternation and the holding of free elections in the Democratic Republic of Congo. Christian, Ben and Jean-Marie are struggling for the political alternative and free elections in their country, the Democratic Republic of Congo. But the President clings to power … How to change the course of events? Should we ally with the historical opponent and his powerful party? Is dialogue still possible or should we resolve to the popular uprising and risk a bloodbath? Kinshasa Makambo plunges us into the fight of these three activists, whom neither the bullets nor the prison nor the exile seem able to stop. Screening followed by a meeting with Sonia Rolley, Journalist at RFI. And an After at the Louxor.